McKibben Emerges From "Anthological Winter"
Ripton resident Bill McKibben has a way with understatement. So when he admits, "It's a big spring for me," you know the guy's hoarding something epic up his sleeve. By the beginning of mud season, the author will have brought out two mid-career masterworks: a meaty American Earth: Environmental Writing Since Thoreau (Library of America) and the curiously parochial-sounding Bill McKibben Reader: Pieces from an Active Life (Holt). As enviro editor, McKibben whittled American Earth down to a slender 900 pages, leaving room for an opening salvo by his "good friend" Al Gore. This Thursday, the Vermont author will lecture as part of the weekly Howard E. Woodin Colloquium Series at Middlebury College, where he's a scholar-in-residence. 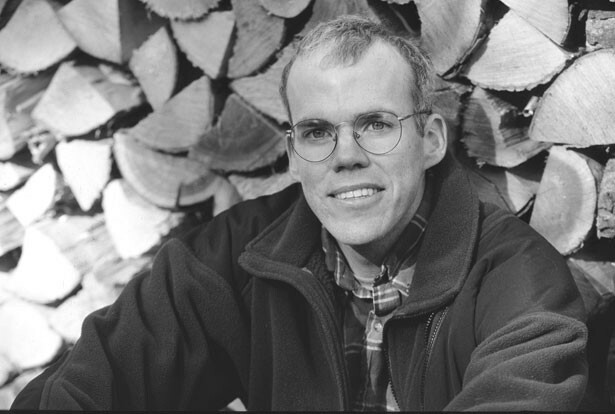 Open to the public, McKibben's talk is titled, "Matters Canonical: Trying to Edit American Environmentalism." Trying? "It turns out that doing an anthology is basically the work of cutting," he explains. "The amount of great environmental writing by Americans since Thoreau is enormous. This book is enormous . . . It's quite depressing work, and the pleasure of doing it is very much undercut by having to take out all kinds of things." Over the last 20-plus years, the former New Yorker staff writer has lent an airy wit to such dour, data-heavy subjects as global warming, biotechnology and over-consumption. Not surprisingly, McKibben's take on the history of environmental writing - a genre he helped shape - is eloquently apocalyptic: "I think we're in the period of the greatest writing about the natural world that we've ever seen in this country," he asserts. "Almost linearly, as the environment degrades, the number of people willing to take up a pen in its defense increases." According to McKibben, environmental writing has undergone a 150-year paradigm shift from "wilderness" to "community." That abstract theory is also a deeply personal metaphor. In the late 1980s, while writing his seminal book on global warming, The End of Nature, McKibben lived quietly in the Adirondacks. By contrast, his 2007 bestseller, Deep Economy: The Wealth of Communities and the Durable Future (Times Books/Holt), reflects active engagement with Addison County's social landscape. What was it like to edit former V.P. Gore? "He wrote about how I was responsible for him getting called 'Ozone Man' in his first election run!" McKibben says of the Nobel Prize winner. But, notwithstanding such water under the bridge, Gore "did a lovely introduction." Bill McKibben will speak on Thursday, February 14, at 12:30 p.m. in Hillcrest 103, Middlebury College. Info, 443-5710 or 443-5925.